I’m desperate to win the EAPT Prague for €115,000, I wouldn’t do a deal for less than €100,000 and the trophy…or would I? Step one complete, I busted a $5 satellite then I came first out of 30 runners in the $22 satellite. 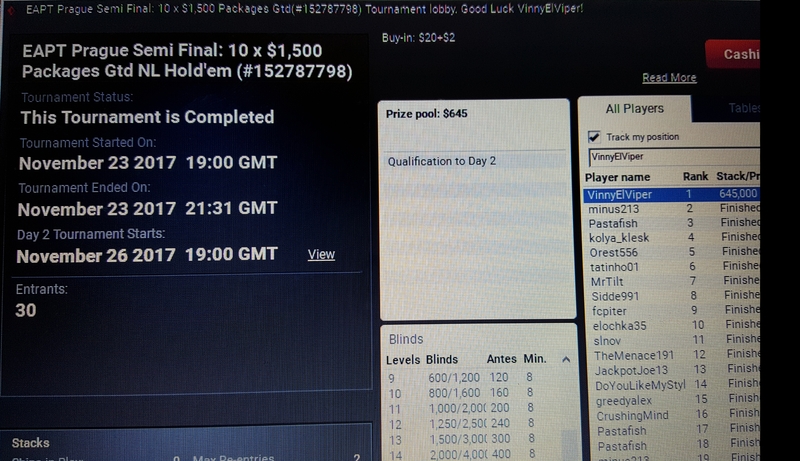 I was the sole qualifier with 645,000 chips or $645 virtual. 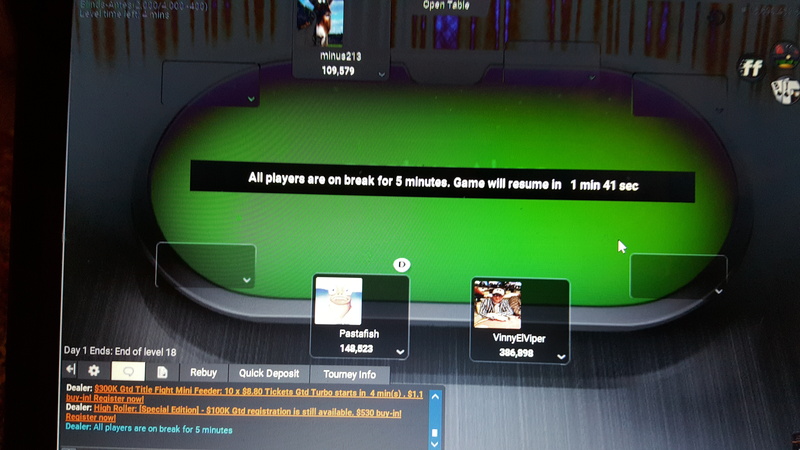 I am second in chips out of the 18 qualifiers so far for the Sunday 7 pm 10 x $1,500 packages gtd tournament. I played really well then ost 2 flips 3 handed when chip lead in bavk to back hands. I fought my way back and won a flip with A 10 v 44 to take it down.